It's time for our hair to wake up and say cheers. 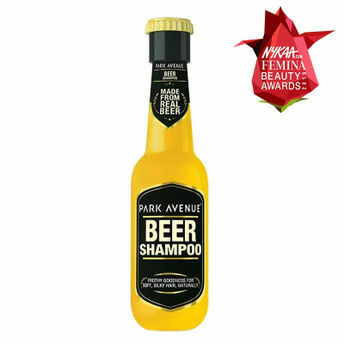 Presenting the Park Avenue beer shampoo, the first product of its kind in India. This shampoo is made with real beer as an active ingredient for your daily use that shampoos and conditions your hair for 24*7 Happy High!! Explore the entire range of Shampoo available on Nykaa. Shop more Park Avenue products here.You can browse through the complete world of Park Avenue Shampoo .Alternatively, you can also find many more products from the Park Avenue Beer Shampoo range.